A network established to offer support, information and ideas to LGBT+ teachers has held its inaugural conference. The first LGBTed was held in London last weekend, and even received the backing of schools minister Nick Gibb. Co-founders Daniel Gray, a teacher at Harris Academy South Norwood where the event was held, and Hannah Jepson, director for assessment and selection at Ambition School Leadership, welcomed delegates by sharing their own experiences. “At school I was bullied for being gay before I even knew that I was,” Gray told delegates. “All I knew was I was different and I was slowly made to hate myself for it. “There’s still so much more to do to make a change for ourselves and our colleagues and our children,” added Jepson. 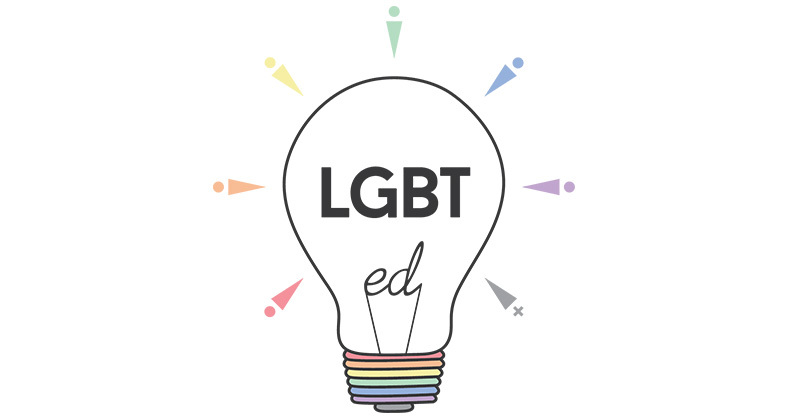 LGBTed’s motto, “let’s be the role models we needed when we were at school”, resonated throughout the day, with delegates discussing how to make a difference in their schools. Gibb sent his support in a video in which he said he will work with the new body and hopes to see it “thrive”. “By creating the conditions that allow LGBT staff to be themselves in the workplace we also create the role models that promote greater understanding of what it is to be LGBT to the wider community, and to challenge social norms and stereotypes,” he said. Alex Shaw, the Department for Education’s lead on equality and diversity, also attended. She said the DfE is gathering information about LGBT teachers’ experiences to learn how it can provide support. Presentations included tips from Nick Bentley, from Sarah Bonnell School, on how to embed representation of LGBTQ identities across the curriculum and a vibrant discussion with Lukasz Konieczka, the co-founder and director of services at the Mosaic LGBT Youth Centre, on how to prevent homophobic, biphobic and transphobic bullying. Claire Birkenshaw, a former headteacher who transitioned from male to female while leading her school, talked about nurturing a sense of belonging for young trans and non-binary people and explained how being a visible role model gives confidence to others. “Every child should feel they belong in their school environment and nothing should hold them back. They should never be ashamed of who they are,” she said. Birkenshaw joined Gray, Bennie Kara, deputy headteacher of Aureus School in Didcot, and David Lowbridge-Ellis, deputy headteacher of Barr Beacon School in Walsall, to explore future action, such as encouraging schools to get involved with Pride events across the country. The day closed with a passionate speech from David Weston, chief executive of the Teacher Development Trust, who supported Jepson and Gray in establishing LGBTed. He emphasised the importance of breaking down myths and modelling how to accept and respect others. Speaking to Schools Week after the event, Jepson said the day had been more than she had imagined, but was still “just the start of the conversation”. Gray added: “We have a duty as teachers to make the world a better place for our young people, the next generation, and to be inclusive and make them feel welcome and safe.